Pinterest is social media’s rising star — and now has the traffic stats to prove it. The two-year-old social bookmarking network is rapidly becoming the go-to web hangout of brides-to-be, fashionistas and aspiring chefs. The website has proven itself to be particularly popular among women, who account for 58% of Pinterest’s traffic, according to Experian Hitwise. 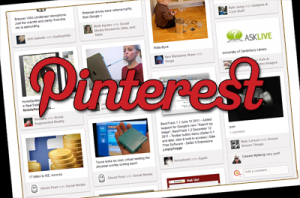 Pinterest’s traffic increased more than fourfold between September 2011 and December 2011, leaping up to 7.51 unique visitors in December alone. Additionally, the site now beats YouTube, Reddit, Google+, LinkedIn and MySpace for percentage of total referral traffic in January, according to a Shareaholic study. Pinterest accounted for 3.6% of referral traffic, while Twitter just barely edged ahead of the newcomer, accounting for 3.61% of referral traffic. In July 2011, Pinterest accounted for just 0.17% of referral traffic, proving the site’s blockbuster growth. Facebook reigns king of referrals, accounting for more than one-quarter (26.4%) of traffic, 4.3% of which comes from Facebook Mobile. After Pinterest, Facebook is experiencing the most referral growth, gaining almost one percentage point in December. Although Pinterest is becoming a significant source of traffic for retailers, search still dominates, and the site has yet to prove itself as a potential sales channel. At present, scant data is available about the social network’s conversion rates. So What is the New Link Building Trick?